Costa Crociere released a compensation proposal for passengers who survived the Jan. 13 Costa Concordia accident. The company said the proposal comes after talks between Costa and consumer associations protecting guests’ interests, with the support of multiple tourism and travel industry associations. In Italy, the company said it has already reached an agreement with the National Council of Consumers and Users, a national consumers organization. 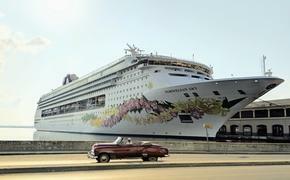 The proposal also includes reimbursement of the value of the cruise, including harbor taxes; reimbursement of air and bus transfers included in the cruise package; full reimbursement of travel expenses to reach the port of embarkation and return home; reimbursement of any medical expenses resulting from the cruise; and reimbursement of expenses incurred on board during the cruise. Some reports put the total package offer at roughly $46 million. The proposed compensation package comes after confusion arose over a separate offer made by Costa to passengers scheduled on future Costa Concordia cruises. The company had offered a refund and a 30 percent discount on future sailings to passengers who had booked but who had yet to sail. Some people mistakenly believed this was the offer to survivors of the disaster. Costa said its compensation package for passengers on Costa Concordia is higher than the current indemnification limits provided for in international conventions and laws currently in force. The 11,000-euro lump-sum payment is being offered to all Costa Concordia passengers, including nonpaying children, regardless of their age. The company also has pledged not to deduct from this sum any amount paid by any insurance policy stipulated by guests. In addition, the company will return all goods stored in cabin safes, where retrieval is possible. Costa also has says it will provide a program for psychological assistance to any guests that request it. The company has further agreed to offer customers the ability to cancel any upcoming cruise booked before Jan. 13, on any of its routes, without penalty through Feb. 7, 2012. Costa said payments would be credited within seven days of receipt of the acceptance of the proposal. Guests should e-mail careteam@us.costa.it or call 954-266-5693. The new proposal does not apply to families of the deceased and guests who were injured and required medical treatment on site. These passengers will be covered under a separate proposal that will take into account their individual circumstances, according to Costa. Costa’s compensation proposal comes as the death toll for the accident stands at 16, with at least 16 people still missing.